How do you think I did? I love that base colour. Which polishes did you use? Maybelline Color Show - In Your Flesh! Foil Gradient Tiger Print - Guest Post! Studsies - Born Pretty Store Silver & Gold Studs! Errmagerd I Got Me Studs! Swatch Saturday - Sally Hansen Sugar Coat! SpaRitual Explore Spring Collection - Firefly! Whats lurking in the dark!? 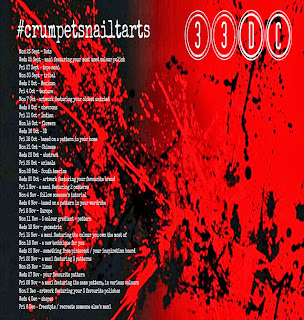 33DC #crumpetsnailtarts - Chinese Inspired! Swatcher - O.P.I - Vampsterdam & Nail art! Swatcher - NYC - Top of the Gold! Swatcher - Barry M Matte - Espresso and Caramel! 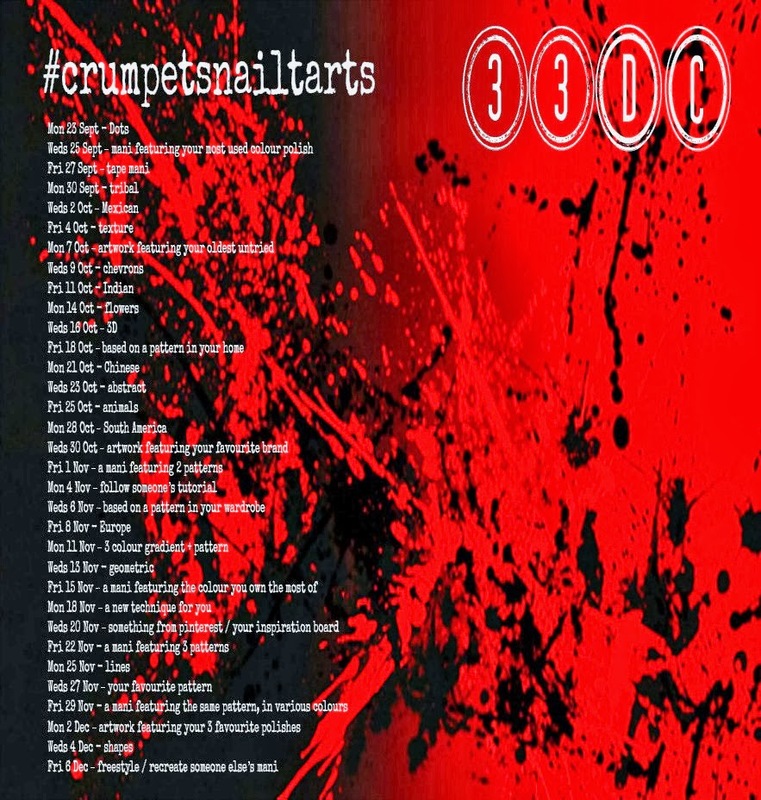 33DC #crumpetsnailtarts - Oldest Untried! Swatcher - NYC Smokey Topcoat - Greenday! Swatcher - Revlon Scented - GrapeFruit Fizz!